KAWASAKI - Ace scorer Davante Gardner secured the ball that was shot by Kawasaki’s Ryusei Shinoyama, ran out of the paint area and threw it high — really high — into the air just before the buzzer sounded. 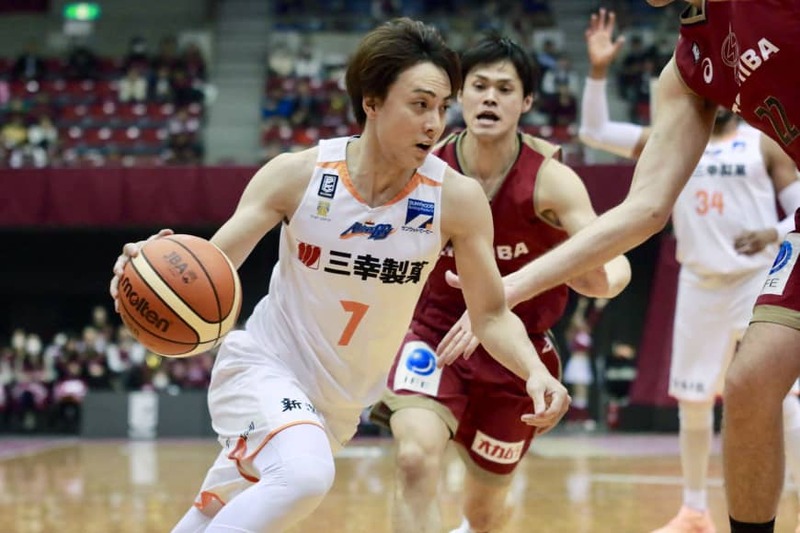 That was the dramatic moment when the Niigata Albirex BB defeated their division rival Brave Thunders 80-78 and, more importantly, clinched the B. League Central Division crown at Todoroki Arena on Saturday night. The Albirex, who now have the third-best record in the league at 43-15, will be able to play at home in the first and second rounds of the playoffs. Niigata will host the Alvark Tokyo in the first round, which begins April 27. The Albirex have been one of the league’s biggest surprises this year. After two consecutive years with losing records (27-33 in the 2016-17 season and 28-32 last year), no one really expected them to make the strides they have. Niigata’s veteran point guard Kei Igarashi said after the game that the team was able to avenge the chip it had on its shoulder. “Everybody thought that it was impossible for us to win because we have too many veteran players and things like that,” said the 38-year-old, who came to the club in 2016. Niigata had acquired a former Japan Basketball League MVP in Shinsuke Kashiwagi ahead of this season, but nobody considered it a significant move because of his age. That there were no other major additions to the squad only fueled doubts about the team. The Albirex have improved their defense from 81.4 points allowed per game last season to 73.1 this year, which has powered the run they’ve made. But the 44-year-old Shoji said his team hasn’t installed any new systems. Both he and Igarashi agree that the mental growth of the team has a lot to do with its success during this campaign. 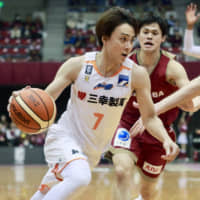 As evidence of their progress, the Albirex competed on Saturday without Kashiwagi, who was suspended after his ejection from the team’s previous game against the Toyama Grouses. Shoji insisted his team, including younger players like 23-year-old backup point guard Kenta Morii, raised its level to overcome the absence of the 37-year-old guard, who has provided valuable leadership and experience in a starting role. Shoji and Igarashi have personally been around Japanese basketball for a long time, but neither had captured a title before Saturday. Having entered the season with a goal of making the postseason, Niigata, which has won its last eight games, now has its sights set on making a deep run in the playoffs. Niigata will conclude its regular season with a two-game series against the Yokohama B-Corsairs this weekend at City Hall Plaza Aore Nagaoka.